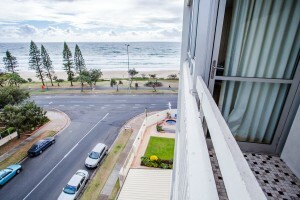 The Shore Beachfront Apartments, offer excellent value one bedroom self contained apartment accommodation, each with individual décor and ocean views. 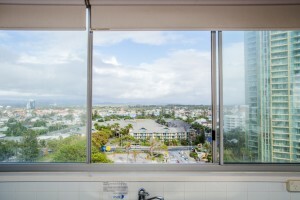 The Shore is centrally located in Surfers Paradise, within a few minute’s walk to tram stations, bus stops and the Surfers Paradise tourist attractions, shops, restaurants and night clubs. All apartments have a well equipped kitchen, a Lounge Dining area, a bathroom and a separate bedroom with a queen bed. The great café on ground level has a licensed bar and is open 7 days a week for breakfast, lunch and dinner. 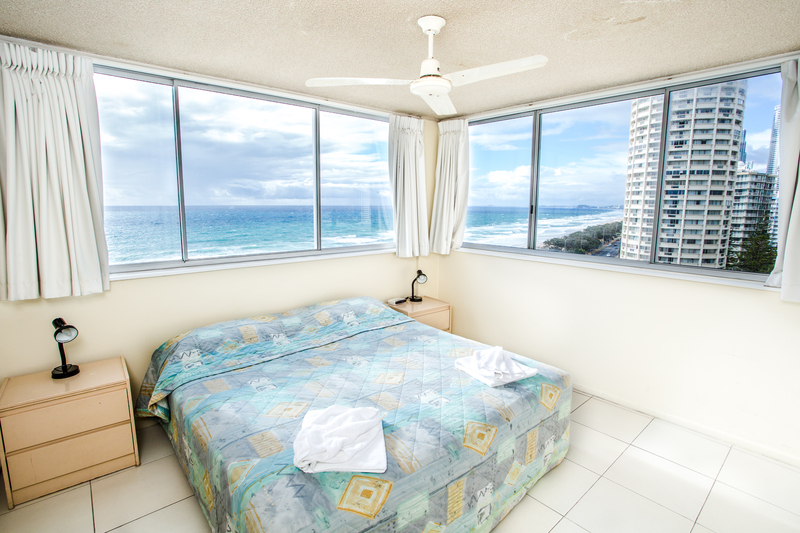 Take in the magnificent views, spend time in the heated pool & spa, swim in the surf or take a walk on the beach or foreshore. With our friendly staff and our fantastic position on the beach, we are committed to providing excellent value at economical prices. 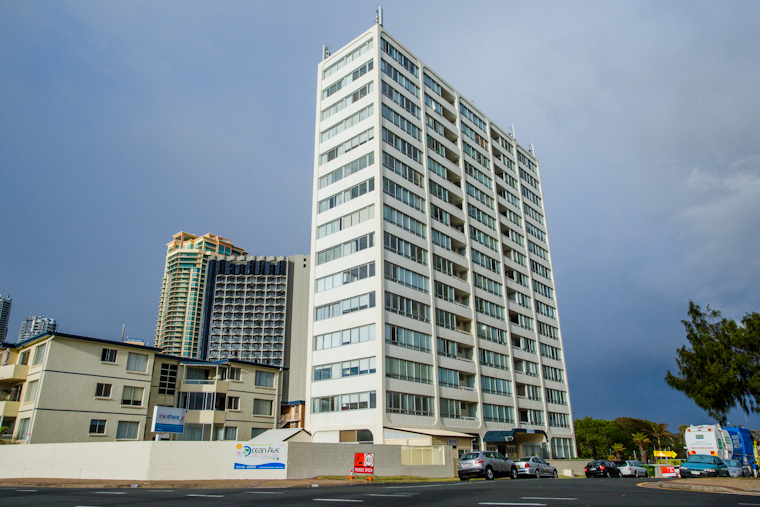 Book online now or call us during office hours on (07) 5539 0388. The Tariffs quoted are for the number of persons booked. Each apartment can accommodate up to 4 people (including children and infants). Children under 3 years are free of charge (must be listed on the booking) – cots & high chairs are available for hire. We also can provide twin beds and bedding for singles, please request on your booking if require. We accept Mastercard & Visa Credit Cards only. • Payment is processed 7 days prior to arrival with the credit card provided. • Cancellations up to 7 days before arrival, no fee will be charged. • Cancellations within 7 days of arrival, during your stay or in the case of no show, there will be no refund. Payment is processed 30 days prior to arrival with the credit card provided. Cancellations up to 30 days before arrival, no fee will be charged. Cancellations within 30 days of arrival, during your stay or in the case of no show, there will be no refund. At check in, we require photo ID, to sight the Credit Card used to pay for the accommodation, and a security bond of $200, paid either by credit card or cash. There is a night phone at the front door of the building. Follow the instructions beside the phone to contact the night service staff, who, to give you access to the building and your apartment keys, will require the name on your booking. To finalise registration, visit reception by noon the following day with Photo ID and your credit card for verification. 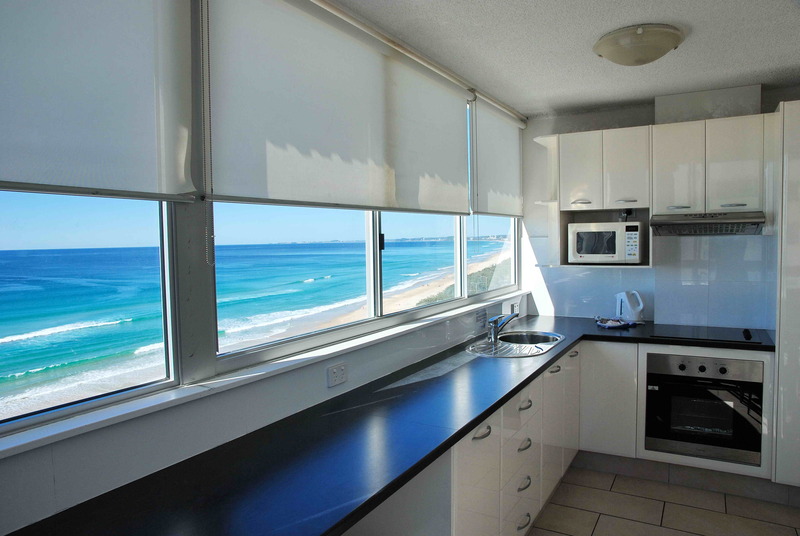 Ocean Front apartments face the ocean, with broad ocean views from the kitchen, lounge dining area and bedroom. These apartments do not have balconies, so are spacious, and can accommodate up to 4 people. 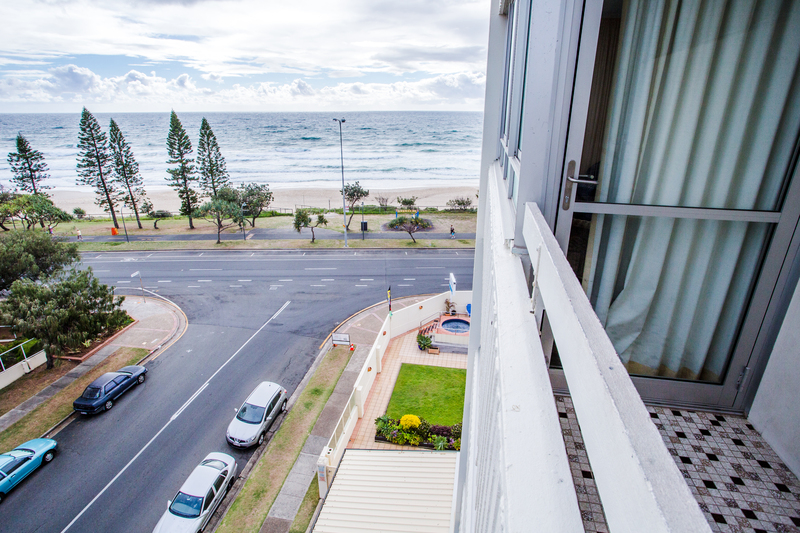 Balcony Apartments face north with excellent ocean views from the balcony, the kitchen, lounge dining area and bedroom, and are ideal for up to 3 people. Any requests will be allocated subject to availability on the day of arrival. Requests cannot be guaranteed. 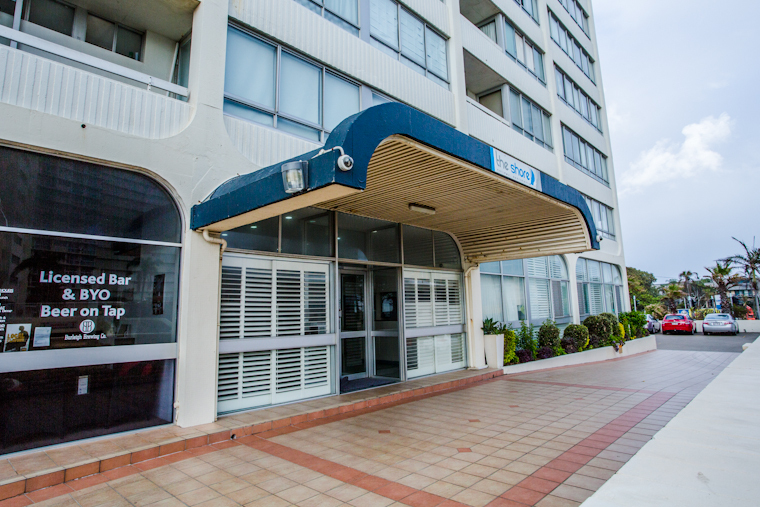 Please note: Each apartment has individual decor and photos are an indication of layout only. than the Superior Balcony Apartments. 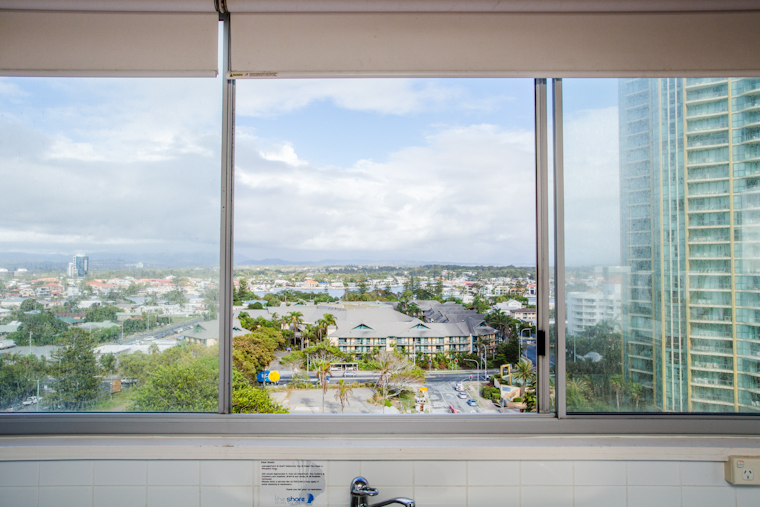 Hinterland Apartments have partial ocean views from the lounge dining area and great hinterland views from the bedroom and kitchen. These apartments do not have balconies, so are spacious, and can accommodate up to 4 people. A well equipped kitchen including stove, fridge, microwave, electric frypan, pots, pans, toaster, kettle, crockery, cutlery etc. A complimentary starter pack of tea, coffee, sugar & milk is provided on your arrival. 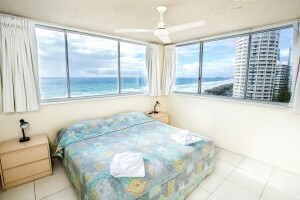 Apartments are serviced for stays of 8 days or more. Extra servicing, beach towels and towels can be organised with Reception at a small additional cost. The Shore Apartments also provide long stays from one month up to three months. Permanent letting is also available.